Hi my name is Alex and I learn from the charlottesville accident it a very crazy place lots of people either end up mad or Disappointed. I’m a teenager in America and I have a 13 year old sister and I would’ve Do anything for my sister and when something Bad happened I don’t want my sister to see nothing like that and it hard to tell my sister we are free in America when we are all still fighting for something. There’s a lot of Problems but the one that sticks out to me and other people is bullying lot of people commit suicide because that doesn’t feel like they Belong or their nothing like others people I face bullying it should’ve be something that should’ve be more out notice in schools and have a meeting with teacher to Be more aware of what happening after class. I wish the future of America would look like no more fighting and everyone get along and stop all the hating and Drama. All leaders you need to read this :) by Alex is licensed under a Creative Commons Attribution-ShareAlike 4.0 International License. Bullying and cyber bullying are just one of the problems facing America today. It’s so sad that lots of kids, especially in high school feel like their only escape is through suicide. Hopefully the future holds a brighter future for kids facing difficult times. Thanks for posting! 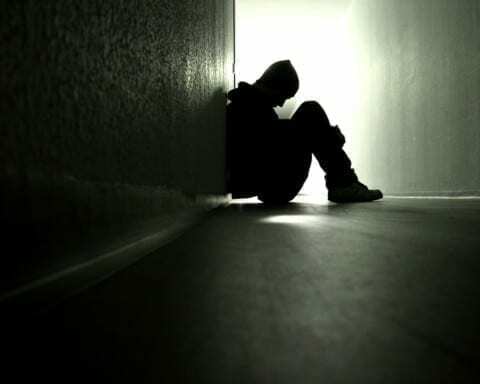 I feel emphatic, about your post because there are many young people who are committing suicide because they are getting bullied and there is no one that they can talk to. One sentence that stood out to me was that “There’s a lot of Problems but the one that sticks out to me and other people is bullying lot of people commit suicide because that doesn’t feel like they Belong or their nothing like others people I face bullying it should’ve be something that should’ve be more out notice in schools and have a meeting with teacher to Be more aware of what happening after class.” This stood out to me because it is true that many young people decide to take their lives because they are getting bullied at school. But the horrible reality is that some schools don’t do anything and others try to help but they don’t know how to. Most of these people that are getting bullied are scared to even tell someone because they are scared that it will get worse so they think that committing suicide is the best way out. Maybe if schools had someone or a place where students feel more save and they talked about bullying and oppression then many of the students won’t commit suicide. Thank you for writing I look forward to seeing what you write next time. Hi Alex , I like how you talk about a problem that happens everyday over and over. I like where you’re coming from in this post like when you talk about your sister , I know how you feel because i would do the same or my sister and family. There are many people getting bullied and aren’t getting help. I agree that bullying is a huge problem and needs to be fixed. Too many people are hurt by it and something needs to change to keep more people from getting hurt. I also really sympathize with not wanting your sister to see anything bad as I also have a 13 year old and I want to keep her from bad information as much as possible. She is so much more naive and it would be so nice if she could just stay that way. I think that if there were less bad things in the world it would be easier to tell her any bad things. I do completely agree that it would be nice if things could be better and bullying would just go away. Hi Alex! Your post brings up a huge problem, often ignored, that is happening everyday; everywhere. Bullying can be seen in all forms and can greatly effect one person or many all at once. You said in your post that you have a sister and would do anything for her, I completely understand. I would do absolutely anything for my family. Many family members and friends of mine have come face to face with bullying but they have me and your sister has you to help her through thick and thin.